Ashlyn joined the Battlefield team in May of 2017. 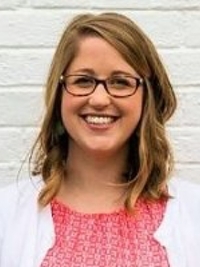 She completed her Masters in Marriage and Family Therapy with a certificate in Trauma Counseling through Richmont Graduate University in May 2017, and is working several days each week as a counselor in the Cartersville office. Ashlyn received her Bachelor’s Degree in Psychology from Berry College in 2012. Upon graduating, Ashlyn worked with college students for two years before moving to Atlanta to start her journey as a counselor. Ashlyn has enjoyed building community in Atlanta at her local church, kayaking the Chattahoochee River, and enjoying some of the local eateries. Ashlyn has the desire to be a safe and authentic place for people in the pain, confusion, and difficulties often encountered in life. The desire for this comes from God’s own desire to move toward the brokenhearted and offer them comfort and healing: “The Lord is close to the brokenhearted and saves the crushed in Spirit” (Psalm 34:18). In addition to providing a safe place in pain, Ashlyn desires to journey with others as they understand their story more fully and how this fits into God’s overarching story. Ashlyn has experience working with trauma, codependency, family of origin, relationship difficulties, anxiety, depression, and spiritual development/concerns. Because of the support of our generous donors we are able to help many individuals, couples, and families. Please consider supporting our ministry.